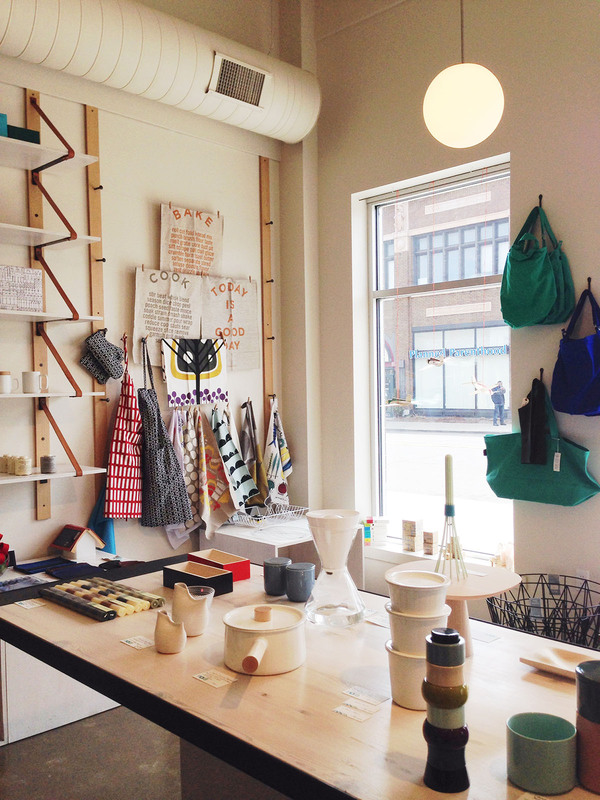 Out of the ashes of recession rises a promising design scene in Detroit. Endemic residential vacancy and a persistent industrial core present challenges as well as opportunities for enterprising artists in the city. Here we round-up a few design-minded shops, businesses, and houses that are retooling Motor City's image. The shop Nora specializes in Japanese- and Scandinavian-inspired wares, but also serves a higher calling. Co-owner Toby Barlow says he wants to help reinvigorate Detroit after so much of its design talent decamped to places like Los Angeles and Grand Rapids. No city marries industry and art quite like Detroit. It's fitting, then, that some of the city's most forward-thinking design is located at a startup incubator called Practice Space. Based on the principles of origami, a curtain of triangle-cut, thin-gauge sheet metal forms the facade of this former mechanic's shop. Media coverage of Detroit's housing crisis tends to overlook Lafayette Park—the first urban-renewal project in the United States. Operating within the minimal shell of Mies van der Rohe’s design, Keira Alexandra and Toby Barlow have created a quirky and comfortable apartment in a corner of Downtown Detroit. Shinola, a watch and bike maker located in Detroit's Albert Kahn-designed Argonaut Building, has long been an advocate of domestic manufacturing. This year, the company proved its committment to going local by bringing leather production in-house. In both design and decor, the shop Hugh evokes Detroit's midcentury glory days. Together with neighbor Nora, this retro furniture and houseware shop is helping revitalize Midtown's design scene.